From the simple to the sublime, The Garage Plan Shop, has it all for discerning homeowners who need to add to their abode. Let’s start with the simple. Plan 050G-0015 is a one-car traditional garage with 288 square feet of parking and a 9’ ceiling. If all you need to do is keep one car safe from the elements, this plan will fit the bill. Or, maybe your vehicle is already accommodated with an attached garage and you need more space for all the extras like lawn equipment and tools. This plan is still right for you. But wait, of course, there’s more. With the quick search feature, you can choose garages that have from one to four or more garage bays. There are drive-thru garage plans, plans that will hold RVs and boats, garages with carports, and many other styles. Check out garage plans with loft space and flex space and apartments. You can have your workshop or exercise room and provide a nifty apartment for family or boarders. Plus, the multitude of architectural styles makes it easy to compliment your house. 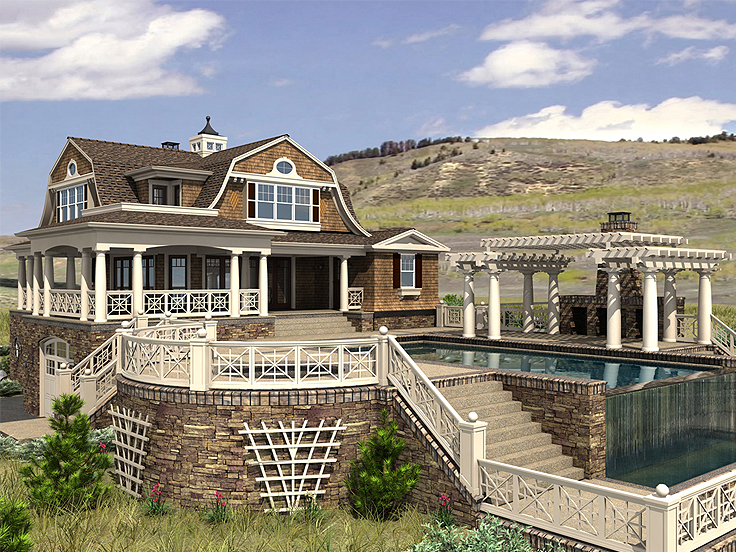 Check out the fanciful design of garage plan 035G-0018. 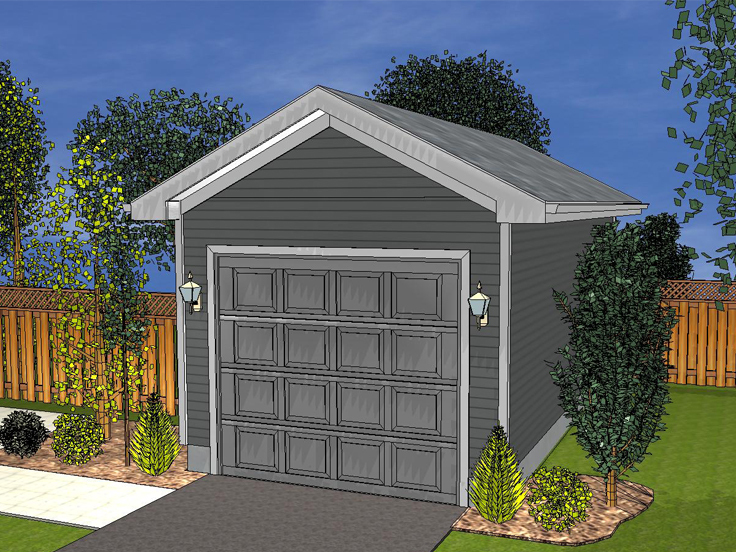 This unique design offers 2190 sq ft of garage space and 2045 sq ft of heated living space. The garage bays are deep enough for boat storage, so take advantage and locate this beauty on the water. With an outdoor living room, covered porches, pergola, decks, pool and spa, it’s easy to overlook the stunning open interior design. Features include a kitchen island, a great room with a two-story ceiling, a second-floor deck, interior stairs and plenty of storage. The Garage Plan Shop offers plans that can help you take a shade tree mechanic’s hobby to a full-time business. Garage plans are available with multiple bays, offices, rest rooms, party rooms, decks, and of course lots of storage solutions for more than just vehicles. Meet your family’s needs by expanding with one of the many plans we have to offer!